One of the number one reasons why married couples divorce is money. Financial disagreements occur when the couple gets into serious debt. It’s easy to feel the pressure that’s on you when you’re buried in bills and are trying to get out of debt, and that pressure often translates into depression and/or anger. Focusing on negativity and resentment is not going to help you to live a debt free life. Positive thinking, though, might. It’s far too easy in today’s fast paced society to rack up quite a bit of debt, and it’s even more simple to feel like you’re losing your life because of that debt. You start with one credit card and before you know it you owe thousands, or tens of thousands, to creditors and can see no way to get out of debt easily. What feels like an impossible problem can lead couples to argue on a regular basis, often leading to separation or divorce. It is possible to live a debt free life! Unfortunately, most people don’t know the steps that you need to take in order to achieve that type of lifestyle. While it’s important to acknowledge the frustration, depression and anger that you feel for being in debt, it’s even more important to push through those feelings and to try to think positively. Negative feelings won’t let you evolve or help you to get a hold of the debt so that you can shake it down completely. 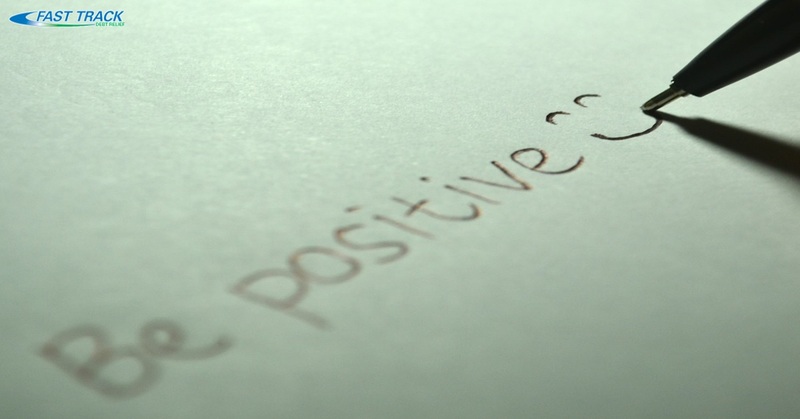 Focus on positivity and look to a debt relief company to help you reclaim your life and relationships. Then use that positive energy to focus on living a debt free life so you never again have to worry about money causing strife in your life.